STSA members elected Jeff Jacobs, MD, as the next President of STSA at its annual Business Meeting held on November 9, 2018. 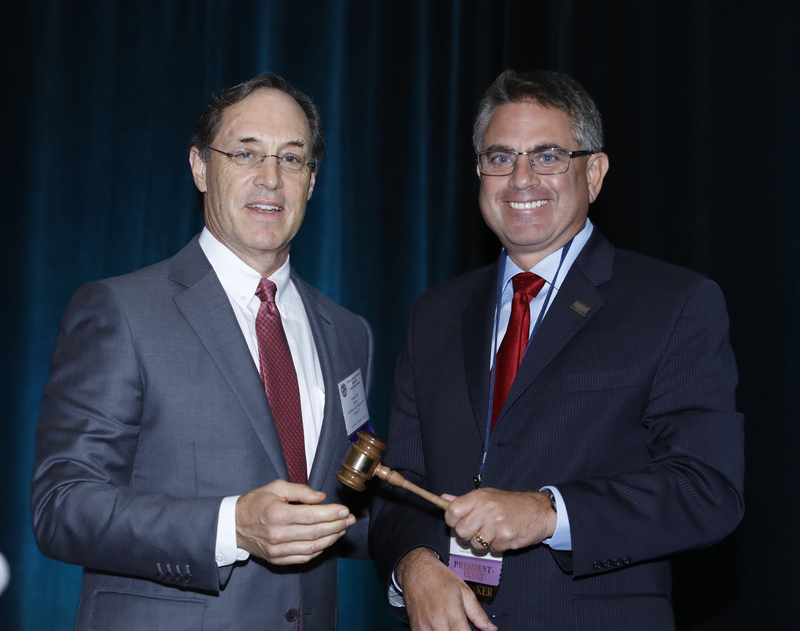 Council Chair, Dr. Kevin Accola, hands the gavel to the new STSA President, Dr. Jeff Jacobs. Dr. Jacobs has been active with STSA for several years, serving on the Finance Committee, as Chair of the Program Committee, and as Vice President. Dr. Jacobs is Chief of the Division of Cardiovascular Surgery and Director of the Andrews/Daicoff Cardiovascular Program at Johns Hopkins All Children’s Heart Institute in St. Petersburgh, FL. Join your fellow members for the STSA 66th Annual Meeting, November 6-9, 2019 in Marco Island, FL, where Dr. Jacobs will present his Presidential Address.